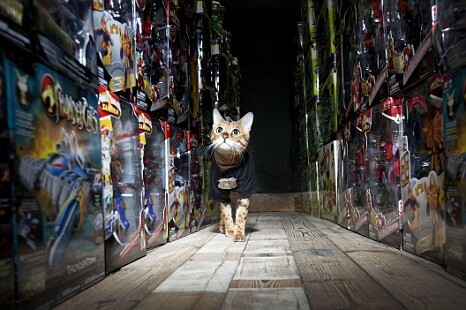 The toys in the warehouse of UK-based toy company Bandai are now safely being protected by Millie the cat. The story has been reported in several UK newspapers and I thought it was some sort of April Fools-style joke, but no. Behold, Millie! 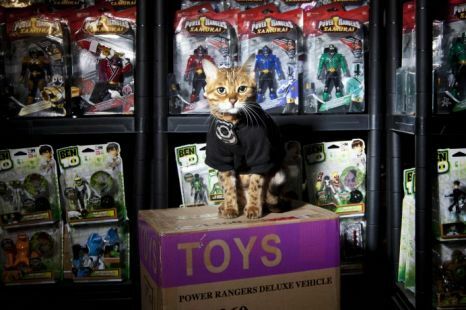 She’s not only the security detail at Bandai but ridiculously photogenic and looks adorable in cat clothes. She’s apparently quite happy to patrol at night and is being paid in cat food and fish. Who needs a watch dog, when you can have Millie? Added bonus: She’s got nine lives. I’m sure it will be turned into a Hollywood blockbuster in no time. Posted on 5, July 2012, in News and tagged Bandai, cat, Millie, toys. Bookmark the permalink. 1 Comment.